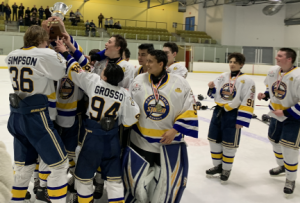 Port Credit 2002’s Midget Jr. A team are league champions, capping off a great season. The team won all three tournaments, finished first overall in the regular season and are now playoff champions. 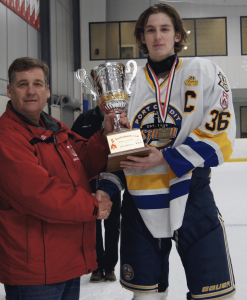 Coach Steve Borg would like to thank assistant coach Bryon Sargeant, trainer Gord Woolley and team manager Michelle Paas. This championship is the team’s first and is extra special for a few players who have been together since Minor Atom. Ethan Borg, Owen Woolley, Brent Wilson and goaltender Daniel Sargeant. Special thanks to all the parents, friends and families for being our biggest fans, and to each and every one of the players for showing up and working hard all year. Congratulations to a great group of young men.